The average American household has 4 credit cards and over 8 thousand dollars in credit card debt. With the economic climate we are in, tens of million unemployed, large drops in the value of real estate and equities it is obvious that this is a major problem. Credit card debt consolidation is becoming popular for people who could not get out of credit card debt any other way. If you decide to undergo credit card debt consolidation you will be able to merge all of your individual credit card payments into one single monthly payment. Consolidating has many things working for its favor. Instead of having to pay 3-5 or more bills each month to various credit cards for various balances, you will just have to make one larger payment. This is easier, simpler, and will motivate you to get rid of your debt even more. In addition you will generally be able to negotiate a lower interest rate, instead of paying 15-20% APR on average to credit card companies on your balance you will likely end up paying in the high single digits as far as interest rates are concerned. Just a few percentage points one way or another can mean hundreds, or even thousands of dollars saved in interest over the course of years, remember that Albert Einstein said that compound interest is the most powerful force in the universe; I tend to agree with him! You will also be able to get out of late fees and other miscellaneous charges if you choose to undergo credit card debt consolidation. You have to pay annual fees with your credit card, late payment fees and other fees as well, consider all of these fees a non-factor if you decide to go through with a credit card debt consolidation. Also you will have a smaller monthly payment after everything is factored in, instead of having 5 individual payments that end up totaling 1200 dollars you will likely have one larger payment that ranges between 600-900 dollars, which will obviously allow you more flexibility in your budget. If you absolutely cannot make your monthly payments on your credit card this is a great option. While there is a lot to like about credit card debt consolidation, it does have its downfalls. While you will likely be able to avoid fees from credit card companies, whatever company you decide to partner with for your debt consolidation is not going to work for free. They will get a cut of your monthly payments and most places charge an initiation fee as well. While your monthly interest rate and payments will be lower, you might end up getting out of debt later because you are being given a longer term loan; it all depends on your personal situation. Perhaps the biggest negative about getting a debt consolidation for your credit card balances is that many debt consolidation companies are scams, not all are but there are enough out there to make me weary about even recommending this to my readers. Before you decide to work with any debt consolidation company you need to research them thoroughly. Look them up on the BBB [Better Business Bureau], “Google” them, call them several times… Do whatever it takes for you to be comfortable with sharing you financial future with them. Which consolidation company you end up choosing will make or break your settlement experience, if you work with a company that is looking out for both your and their best interest you will be in good hands. If you have over 5 thousand dollars of credit card debt with three or more different cards and you are struggling to meet your monthly payments credit card debt consolidation is something you should look into. 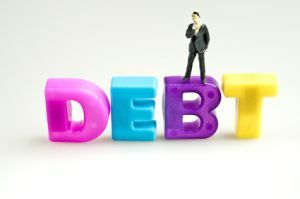 Remember that debt consolidation is more of a last resort than it is a viable option for anyone with credit card debt. In a perfect world everyone would be able to construct a budget, live within their means and pay off their credit card debt early, but there are situations where credit card debt consolidation is not only the right choice, it is the only choice.